Premises liability claims in Florida depend on a number of different factors. Property owners, tenants or others may have a role in overall liability for injuries that occur on their premises. For reliable advice on premises liability questions, contact the experienced premises liability lawyers at Associates and Bruce L. Scheiner, Attorneys for the Injured. We assist injury victims throughout Southwest Florida. In Florida, as in other areas, the owner of a property is expected to maintain that property responsibly so that visitors to it are safe. If you’ve been hurt on someone else’s property, you want to know if that owner is accountable for the injuries you’ve suffered. The answer is likely to depend on your reason for being on the property, along with the specific circumstances of your injury. An attorney experienced in premises liability cases is your best source of reliable advice. 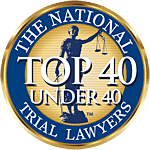 Premises liability lawyers at Associates and Bruce L. Scheiner, Attorneys for the Injured, have a four-decade history of providing exemplary legal representation to the people of Naples, Fort Myers, Cape Coral and other communities across Southwest Florida. Our attorneys know the law and offer you the informed guidance you need when you’ve been hurt on the property of another. In Florida, liability for injuries sustained by someone applies not just to owners of residential property, but also to those who control commercial premises. Our premises liability lawyers in Fort Myers and Cape Coral know that their responsibility may extend beyond the actual property owner to include tenants or others who are accountable for maintaining the premises. For example, Florida is the site of numerous shopping centers, malls, antique malls, and similar commercial areas. Store owners who rent space from the company that owns a mall are responsible for maintaining safe conditions within their own shops. At the same time, the company that owns the mall is responsible for safely maintaining common areas. And the management and maintenance companies also share responsibility. Business invitees are on another’s property for the purpose of conducting some type of business – a shopper seeking goods or a worker invited into a private residence to repair an appliance, for instance. Licensees are relatives, friends and others who are social visitors to the property. Trespassers are on someone else’s property without permission. The premises liability attorneys at our firm can explain the duties that property owners have toward each of those types of visitors. Even in the case of trespassers, property owners may be expected to provide warnings about potential dangers on their premises. At Associates and Bruce L. Scheiner, Attorneys for the Injured, our Fort Myers and Naples personal injury and wrongful death lawyers know that Florida property owners have a further duty to ensure that children on their premises are protected. Especially in cases where a homeowner has a swimming pool or other potentially dangerous items on his or her property, special care must be taken to protect children from them. Our premises liability attorneys in Cape Coral, Fort Myers and Naples understand that a variety of hazards can cause injuries to property visitors. Slip-and-fall injuries are probably the most common type of premises liability claim. Injuries might also be caused by such property-maintenance issues as poor lighting, uneven sidewalks, broken windows, malfunctioning doors, missing or broken handrails, poorly marked steps, and other factors. It is important to note that dog-bite injuries fall under the umbrella of premises liability. If you or someone you care about has been hurt on someone else’s property, you may be entitled to recover compensation for the harm that’s been done to you. The premises liability attorneys in the Fort Myers, Cape Coral, Naples, Port Charlotte and Sebring offices of Associates and Bruce L. Scheiner, Attorneys for the Injured, can meet with you to discuss the circumstances of the accident that injured you. If we take your case, you pay us no fees unless we win. When Property Owners Can be Liable for Crashes When examining liability for a South Florida car accident, our injury lawyers in Cape Coral will of course first examine the negligence of the other.